Eating paleo coleslaw reminds me of my grandma. She was an old-fashioned farmer’s wife and she would always make home-cooked meals from scratch. She always needed a main dish, vegetable (usually potatoes since they lived on a potato farm), a salad and dessert. I remember we HAD to have dessert every meal, even if it was just something simple like pudding or fruit. She often makes coleslaw for the salad and I loved it with fresh cabbage. When I first started eating Paleo I really missed eating coleslaw, because I couldn’t eat the mayonnaise and sugar that was in Grandma’s recipe. I developed this Paleo coleslaw recipe made with Paleo mayonnaise, and I LOVE it. No offense, Grandma. I don’t know about you but I absolutely love the flavor of coleslaw salad, especially with barbeque sandwiches. There is something about the flavor of coleslaw and BBQ together that I just love. 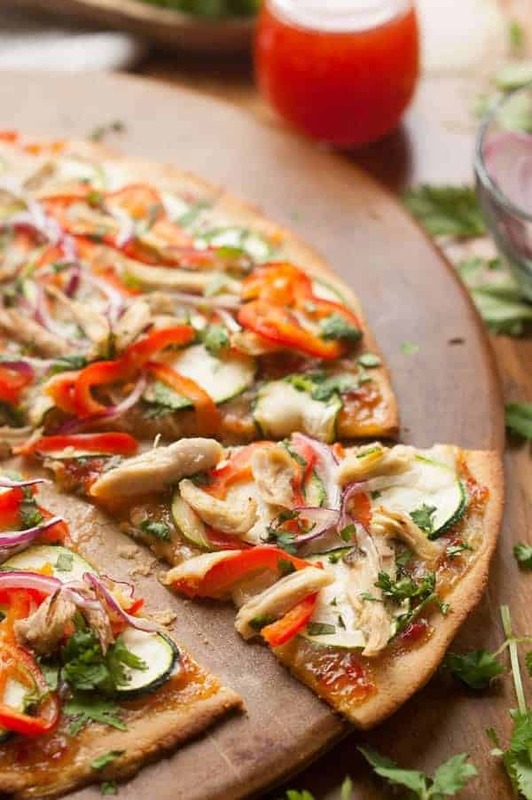 I am super excited to do this recipe for you guys. This recipe uses carrots and both red and green cabbage. Here is a link to the Paleo Mayo recipe that you can use to make this recipe that much better. One of the things I like best about Paleo coleslaw is that it’s crunchy, light and cold. It’s so good with something hot, like BBQ chicken or pulled pork. It has such a good contrast, especially from the tang of the vinegar. Soggy coleslaw is nasty, but it’s good if it sits for a little bit. It’s best if you make it about an hour before you eat it. If you make it too early, it gets soggy and runny and all the liquid goes to the bottom of the bowl. Gross! You don’t have to use homemade mayo. A good store-bought mayonnaise works just fine too. I link to some below. I really do prefer the dry mustard to “regular” mustard, but if you don’t have it, just put a little less mayo. in so it won’t get too runny. You can do only green cabbage and leave out the red cabbage and carrot if you want. They are there for color, extra crunch and for a variety of vegetables, but aren’t totally necessary. If you’re feeling adventurous, some fun additions are poppy seeds, apples, sweet peppers, craisins or even bacon. If you try any of these, please comment and let us all know if you liked that addition or not. You can sub apple cider vinegar with another acidic food, such as white wine vinegar, lemon or even lime if you really like limes. If you do limes, you should try some cilantro with it and tell me if you like that. I would love to know if you try my Paleo coleslaw. Please comment below and tell me if you made any changes to the recipe and what occasion you made it for. This is a recipe for Paleo coleslaw and it uses carrots, red and green cabbage. We used our homemade Paleo mayo recipe. In a large bowl, add the mayo, vinegar, honey, and mustard and whisk together until smooth. Add both cabbages, the carrot, and the parsley to the bowl and toss until thoroughly coated in the mayo sauce. Tried this and it was great. 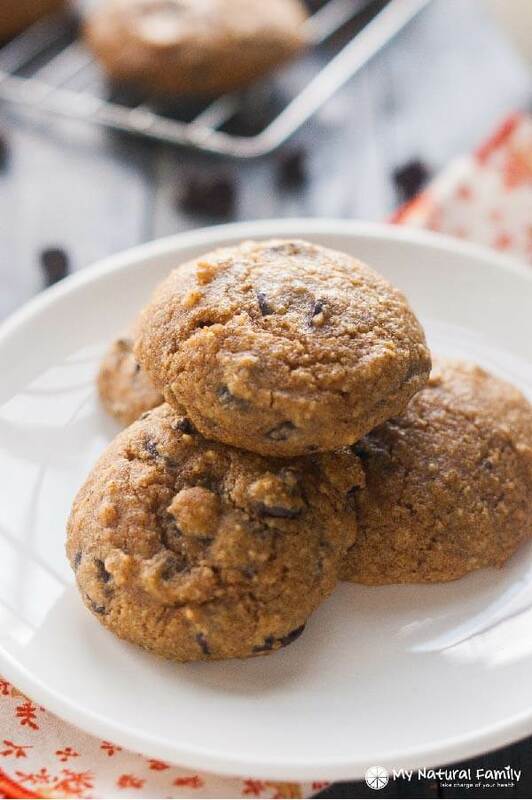 I needed a non dairy recipe I’m so glad I found yours first. I didn’t have ground mustard but I had Dijon mustard and it had a great tang flavor to it. So thank you! You’re welcome! Thanks for taking the time to comment. 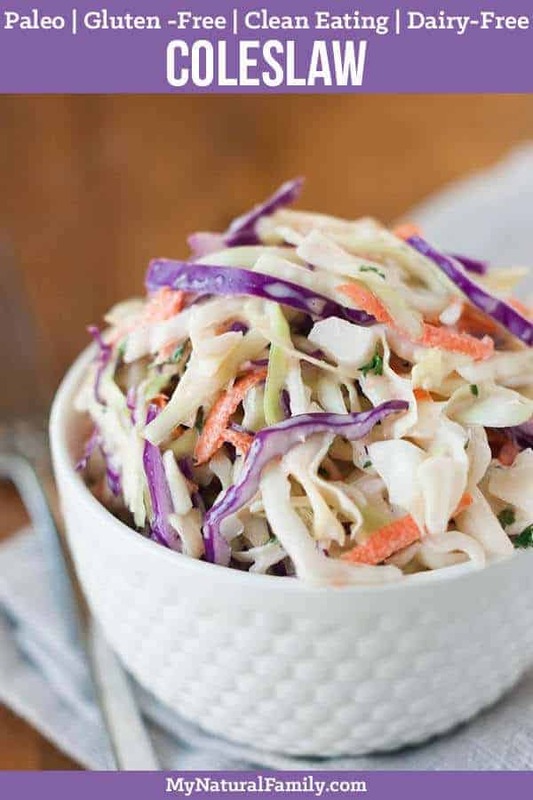 I love coleslaw, I’m going to try this with your Sloppy Joe recipe. This was wonderful! I’m new to Paleo and I did not feel like I was missing anything! Thank you! I’m so glad you liked it! It’s one of my favorite side dishes year-round. I’m so glad you like it! My grandmother would be happy. Coleslaw is my husband’s favorite side dish. This one is so colorful, I might even be able to trick the kids into eating it. I love coleslaw. Perfect for any summer meal.